Creativity is both a gift and a risk. No matter what form the art takes, there is personal exposure that comes with creative opportunity. As I begin this blog, I want to remind myself (yet again) that there is a “gulping self” that must be overcome if creativity is going to be achieved. 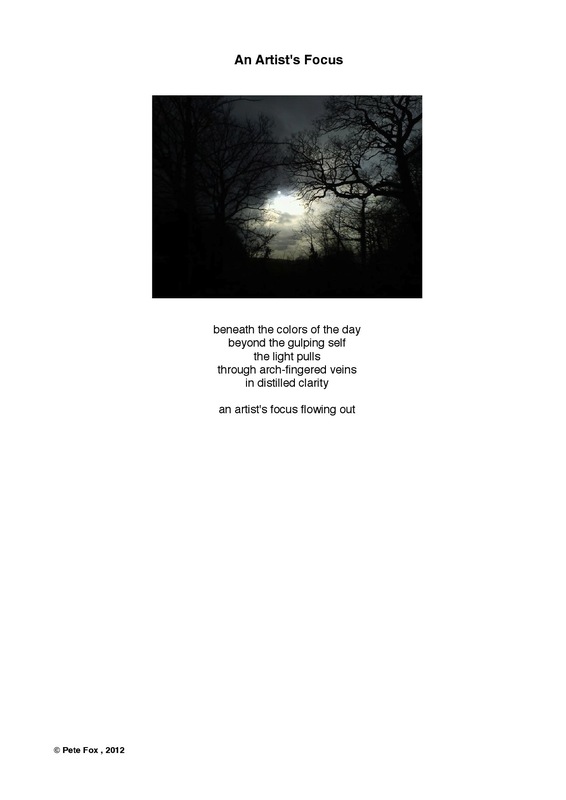 The picture in the poem below was taken by a young woman in Wales named Bethan, who gave me permission to use the picture in a poem. The poem itself is mine. Bethan is just beginning to explore her many talents, and, although I am on the other end of the age spectrum from Bethan, I am still pushing and probing mine. Perhaps the first step in developmental learning is to learn to not listen to the “gulping self”, the perfectionist demon that impedes the flow of art from each of us. We all can learn, young and old together.